Filmmaker Robert Patriarca recently released a 26-min documentary about cannoli, which was filmed during the Italian Market Festival in May. The life of Philadelphia filmmaker Robert Patriarca has been measured in cannoli. So, his audiences may find it hard to believe the 28-year-old Frankford native didn’t actually consume the Italian pastry until he was 14 years old. 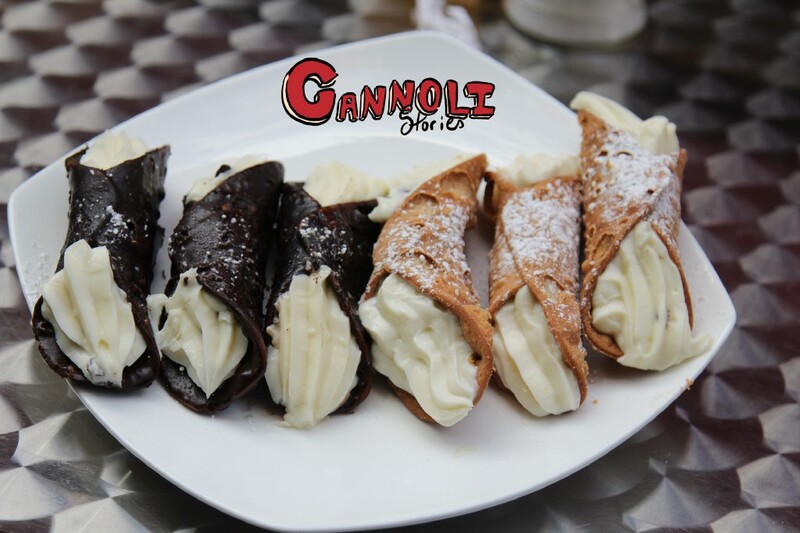 “We grew up without cannoli in our household,” he recently confided, while sitting amid copious amounts of the tube-shaped shells in Cafe Crema on 9th Street. Since his grandmother scorned the sweet, he was deprived of the dessert through adolescence. But, one afternoon, when his cousin Anthony DiSalvio dropped off the delights from Don Giovanni’s Classic Bakery, Patriarca experienced nothing short of a revelation. 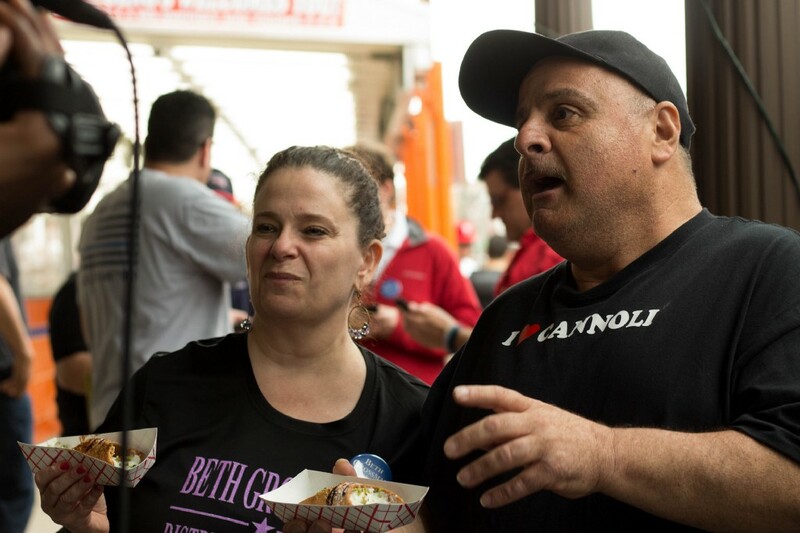 Since that pivotal first bite, Patriarca, an army veteran who dropped out of high school to work and support his family, says his major milestones were complemented with some kind of cannoli — a sugary solace that consoled him through the highs and the lows of life. 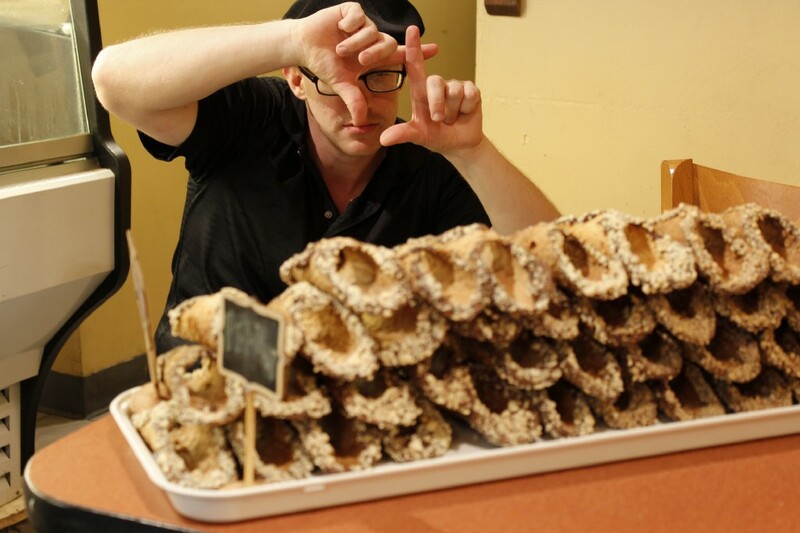 He wondered, then, if others had similar relationships with the pastry, leading to the inspiration for his first documentary short film, “Cannoli Stories,” which premiered at the Freedom Shorts XVIII short film festival at CineMug on Broad and Tasker Streets last week. Deriving from a 2016 class assignment at the Community College of Philadelphia, where Patriarca studied digital video production before graduating with an associate’s degree in May, the 26-minute cut is a collection of cannoli accounts from individuals interviewed at the Italian Market Festival in May and New York City’s Feast of San Gennaro this past September. From business owners to politicians to men-on-the-street, Patriarca, who says he’s gained 20 pounds since shooting began, centered the interview upon a few questions, including asking folks about their favorite cannoli and their initial encounters with one. The film simultaneously follows Patriarca’s godfather, Anthony DiNofa, as he tries a cannoli from every bakery in Philly. Under the mentorship of CCP film professors Allan Kobernick and Jon Spielberg, “Cannoli Stories,” which recently clinched the 2018 Videographer Awards for Distinction, a national recognition, was created by a five-person crew who were all students of CCP. Despite the Italian topic at hand, the team was composed of various ethnicities, including African American, Irish, Puerto Rican and Pakistani filmmakers — a testimony to the cannoli, Patriarca says. “It’s really nice that everyone’s coming together, really, over a pastry,” he said. The film underwent several drafts, such as weaving the interviews together with cannoli-related clips from classic feature films, such as “The Godfather,” of course, and even Disney’s “Zootopia.” But, considering the documentary was financed through Patriarca’s own production company, the movie scenes were not initially approved for leasing by the entertainment companies. But this setback allowed the documentary to take new shape. For Patriarca, who first fell in love with filmmaking after slipping onto the Kensington set of 2006’s “Rocky Balboa” and witnessing Sylvester Stallone in action, he wanted the film to not just simply explore the craft and history of the Sicilian treat, which was executed through interviews with pastry experts, like John “Baby John” Delutro, or the “Cannoli King” of Mulberry Street in Lower Manhattan. Instead, he envisioned the cannoli as way to view the changing demographics of South Philly, as while exploring the pasty, social themes naturally surfaced in the shooting. To watch Patriarca’s film on YouTube, visit www.youtube.com/watch?v=lumC7S7qicg.